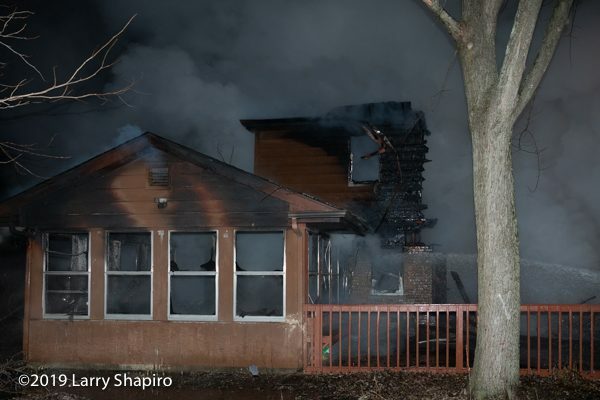 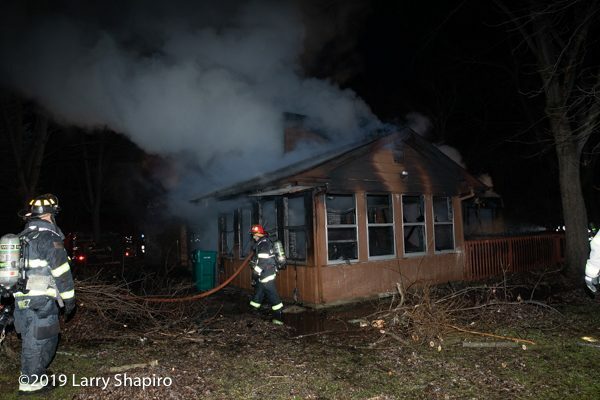 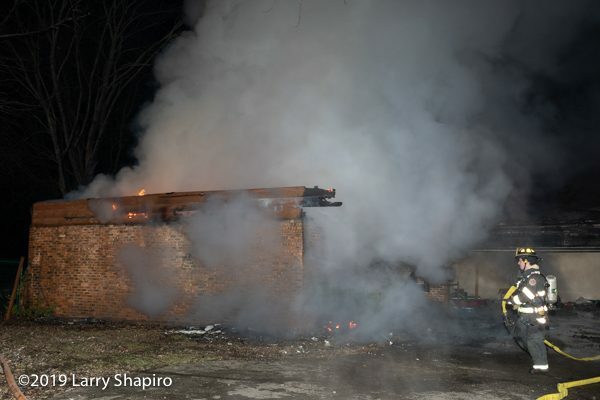 The Lincolnshire-Riverwoods FPD was dispatched for a reported house fire at 4:26AM Thursday morning (1/3/19) on North Apple Hill Lane in Prairie View, IL. 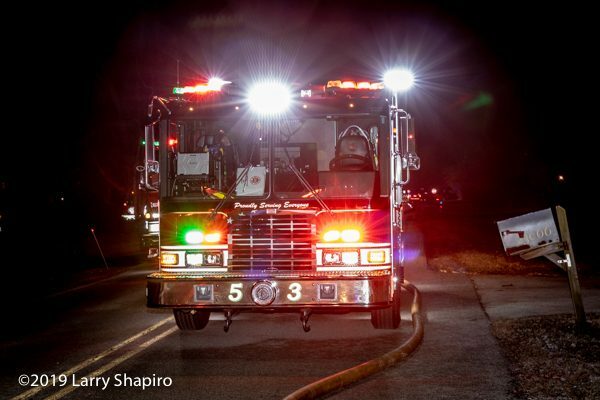 Responding units from nearby Station 51 saw a glow in the sky and the response was upgraded to a working fire. 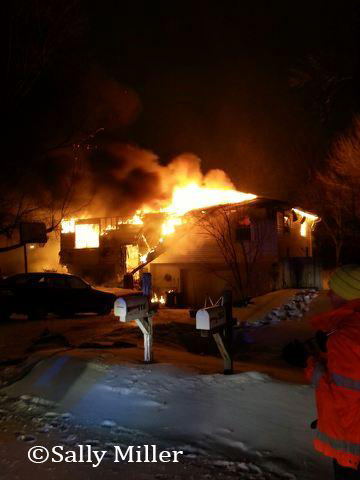 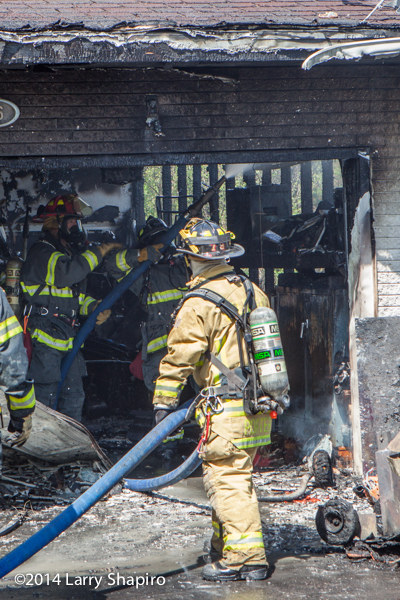 Arriving companies found a two-story house that was fully engulfed by fire. 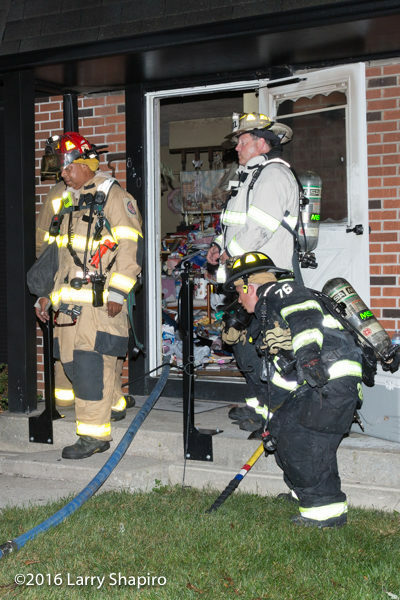 The house was believed to be vacant and undergoing some renovation. 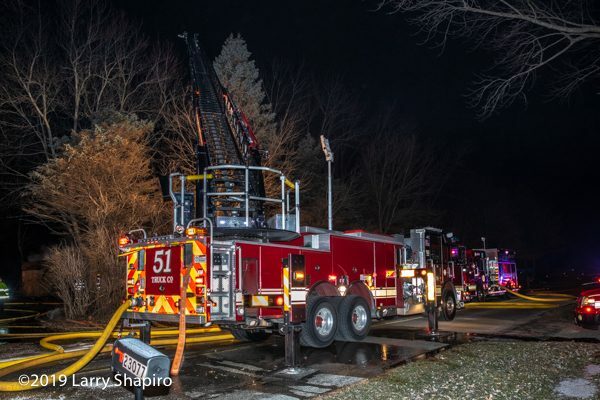 The ladder pipe from Truck 53 went into service right away along with three hand lines as the entire operation was defensive. 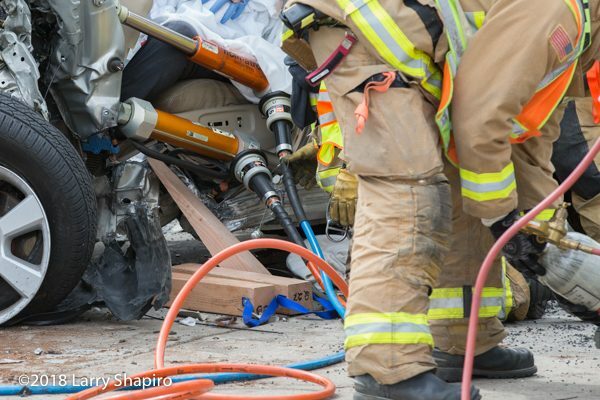 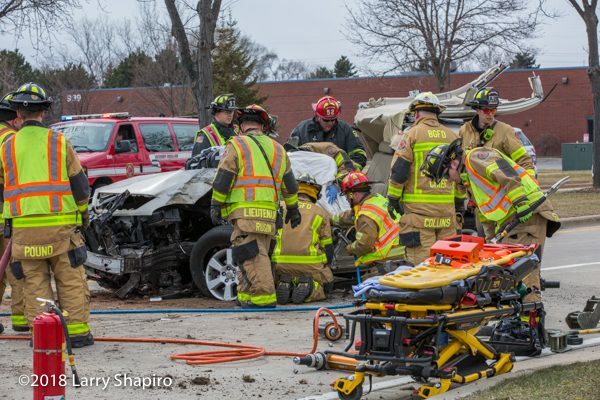 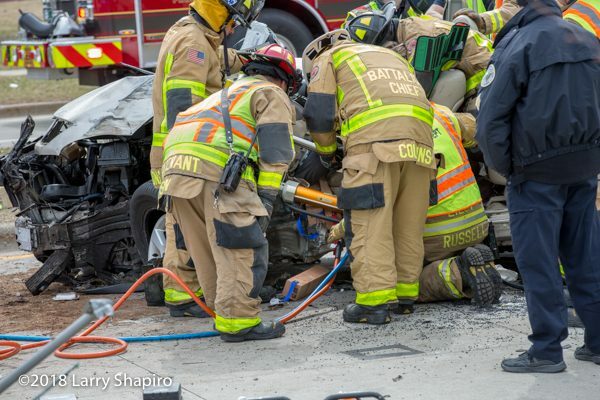 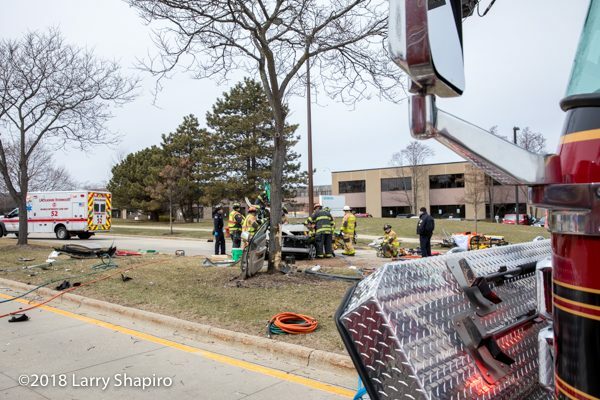 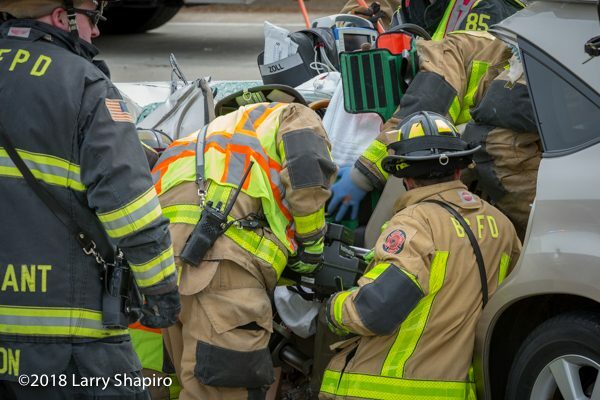 Buffalo Grove (IL) police and firefighters were called to the 1000 block of Deerfield Road on Easter Sunday (4/1/18) for a one-car crash with entrapment. 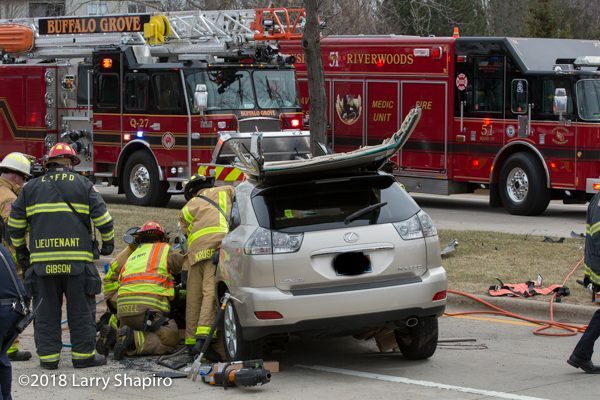 An ambulance from the neighboring Lincolnshire-Riverwoods FPD was first on the scene while responding to an unrelated EMS assignment. 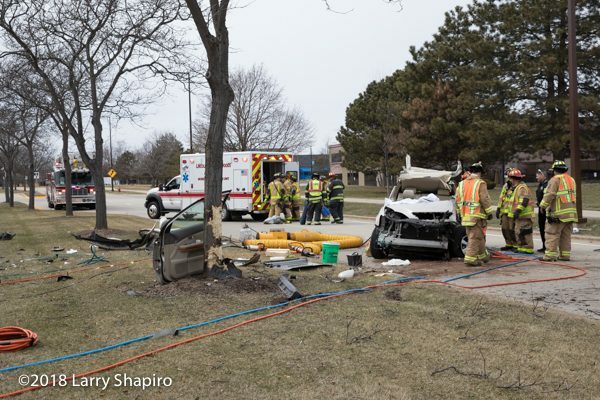 The SUV struck a tree in the center median and sustained significant damage trapping the driver’s left leg. 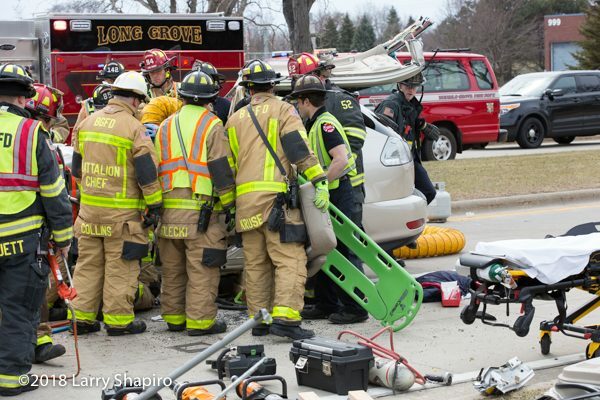 The extrication was completed after roughly an hour. 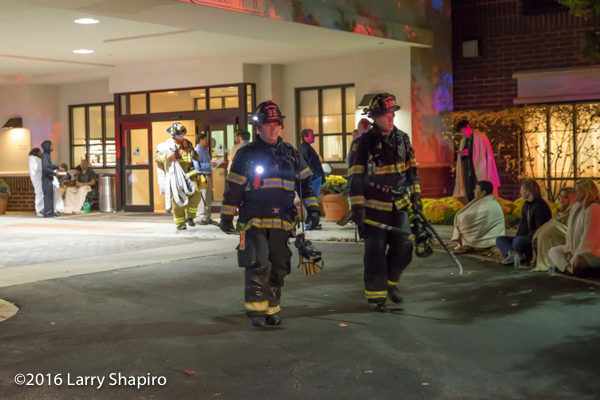 The cold temperatures prompted the use of a portable heater to provide comfort for the patient. 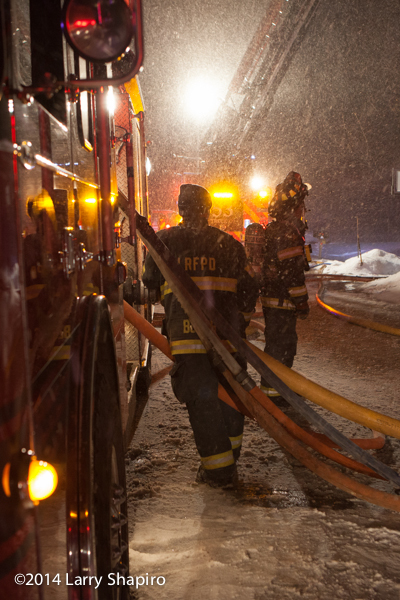 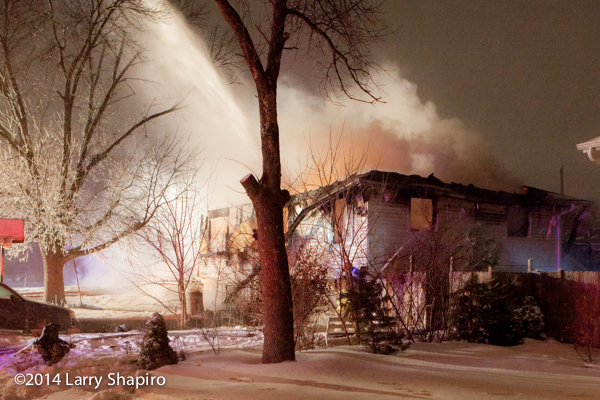 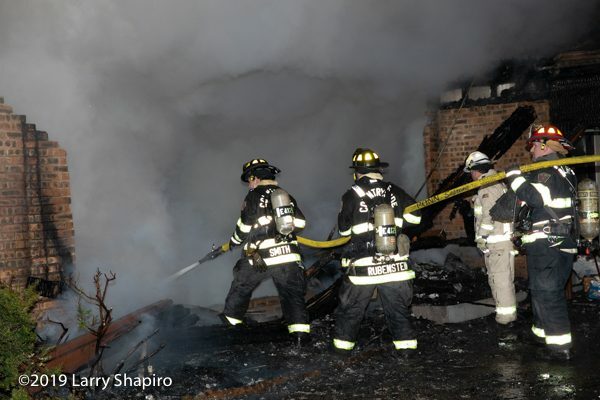 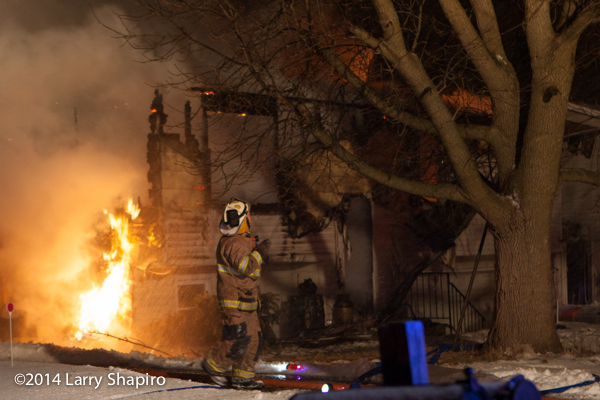 Units from Buffalo Grove, Lincolnshire-Riverwoods, and Long Grove were working at the scene. 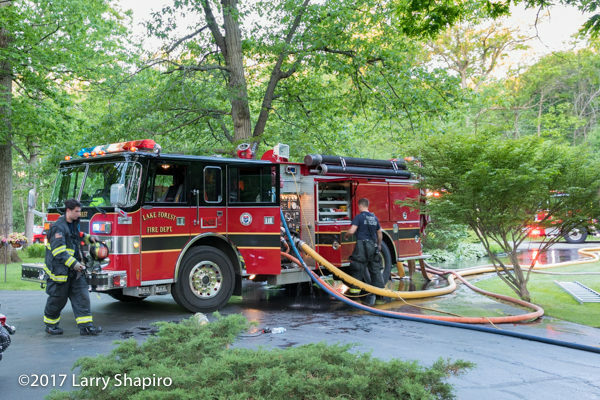 The Lincolnshire-Riverwoods FPD (LRFPD) in Illinois was called to 24341 Elm Road early Friday morning (6/2/17) for the report of an ATV on fire. 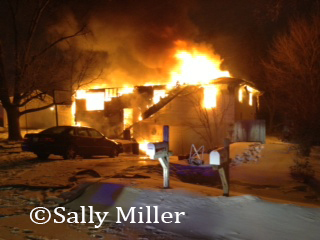 A followup call apparently notified dispatchers that the fire had spread to the attached garage. 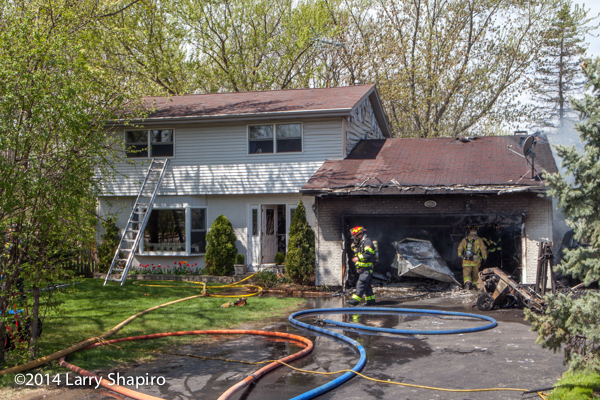 Lake Forest Engine 422 arrived first and advised that they had a fully-involved garage fire. 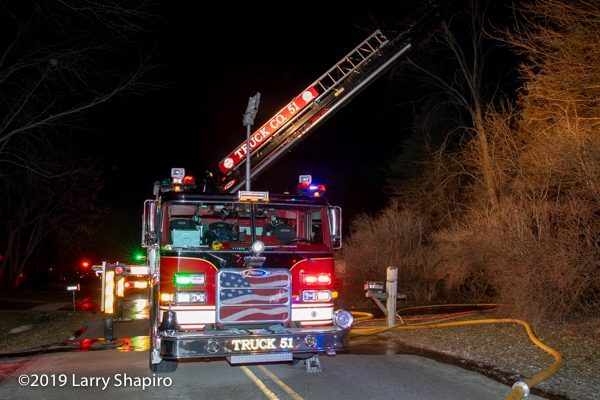 LRFPD Engine 52, Squad 51, and Battalion 51 arrived right behind the first engine and all three suppression units exhausted their tank water on the initial attack. 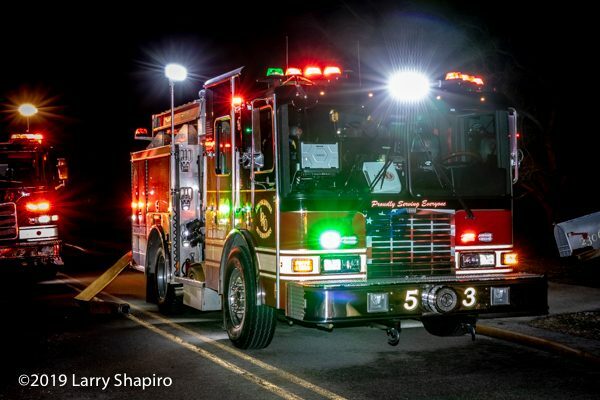 Countryside Engine 411 arrived with the Lincolnshire units and supplied their tank water inline as well. 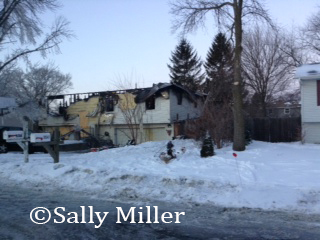 The home is located in an unincorporated area of Lake Forest without hydrants. 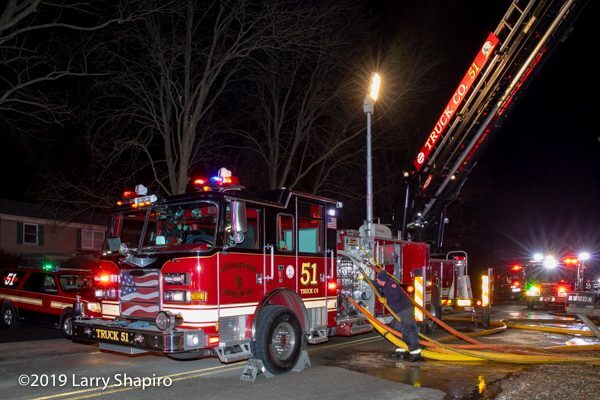 On arrival, Battalion 51 upgraded the alarm to a Code 4 for the working fire and simultaneously a MABAS Box Alarm was struck which would bring several water tankers in addition to supplemental fire suppression companies. 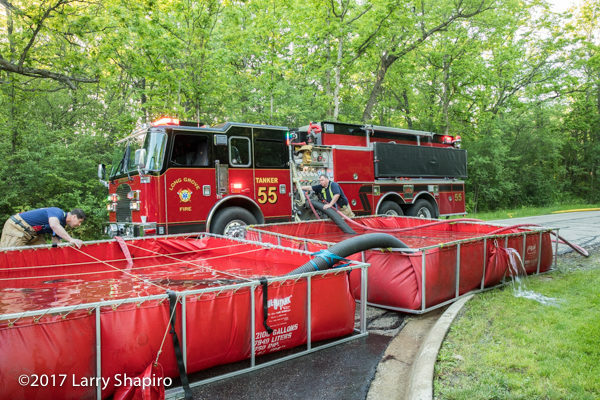 Portable tanks were dropped from two tankers. 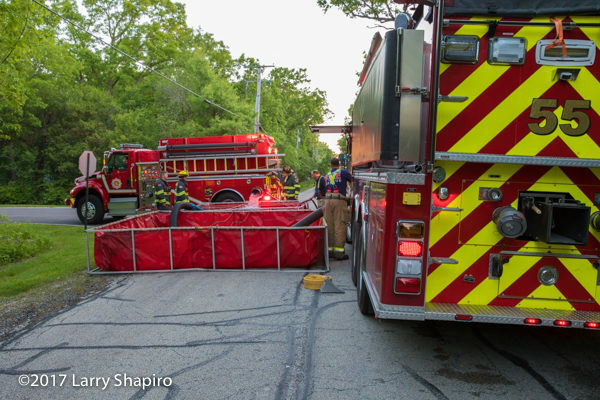 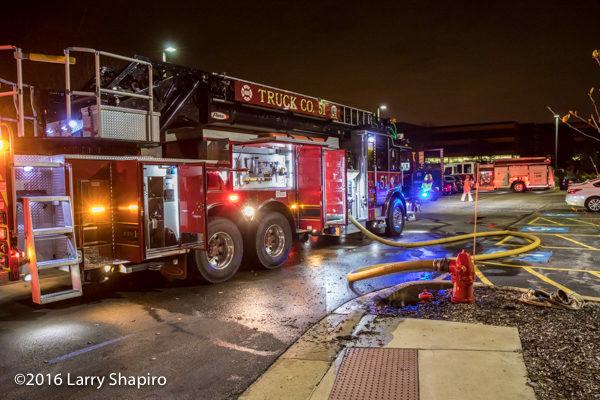 While Long Grove drafted from the portable tanks supplying the engines at the scene, tankers from Countryside, Wauconda, Grayslake, and the Palatine Rural FPD shuttled water to the scene from a hydrant roughly a mile away. 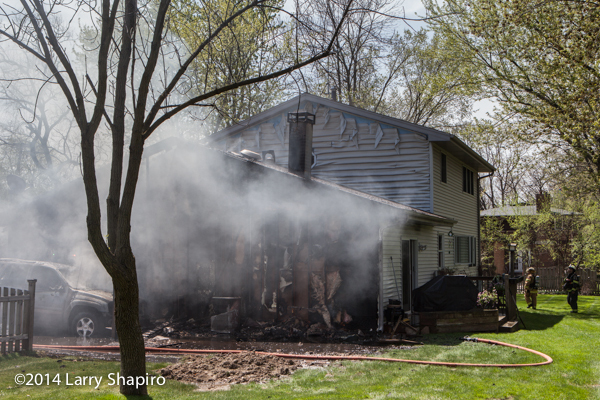 The fire was largely contained to the garage with some extension into the house and attic. 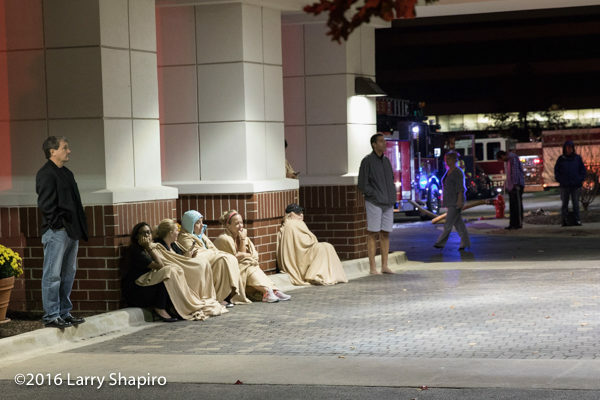 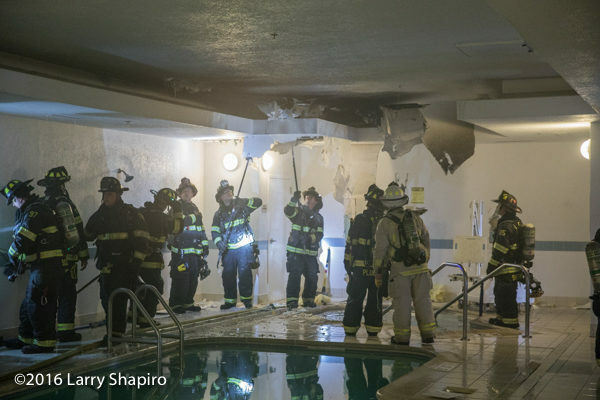 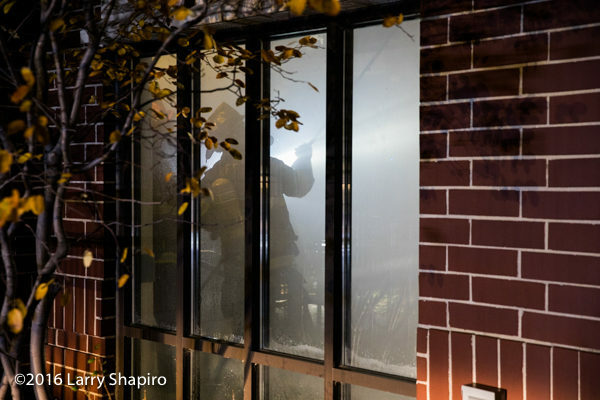 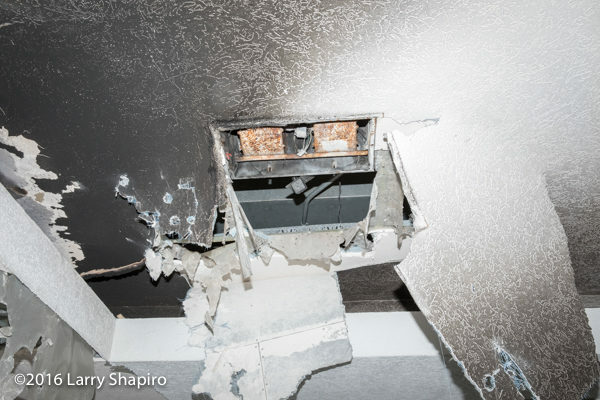 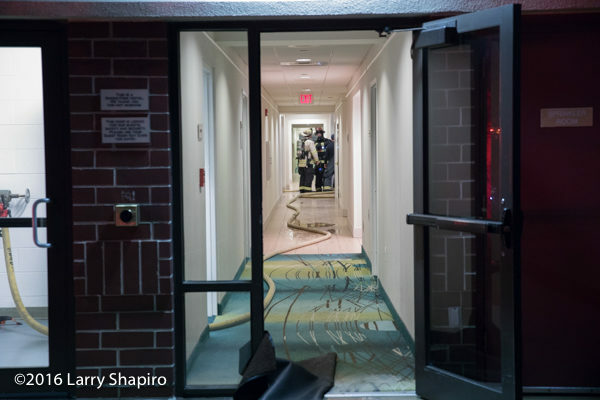 A small fire presumed to be a ballast in a recessed area above the pool produced a considerable amount of smoke which resulted in the evacuation of a six-story, Springhill Suites hotel in Lincolnshire, IL 10/31/16. 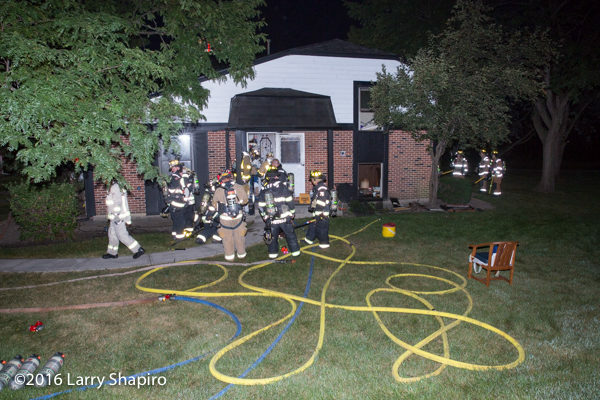 The Lincolnshire-Riverwoods FPD (IL) responded to a fire at 840 Inverrary Lane at 4:30 Sunday morning (8/14/16). 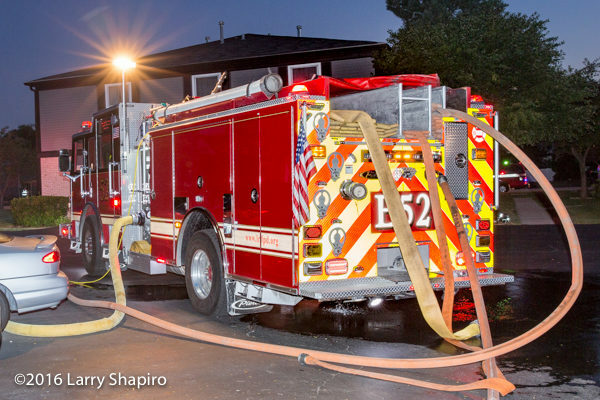 The first arriving unit was met by the homeowner that had evacuated the unit and reported flames on the lower level of the split-level unit. 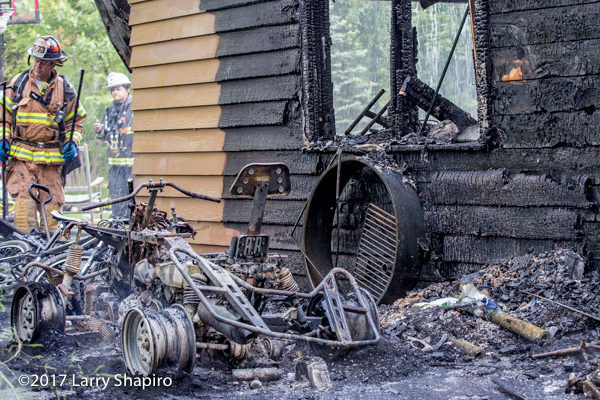 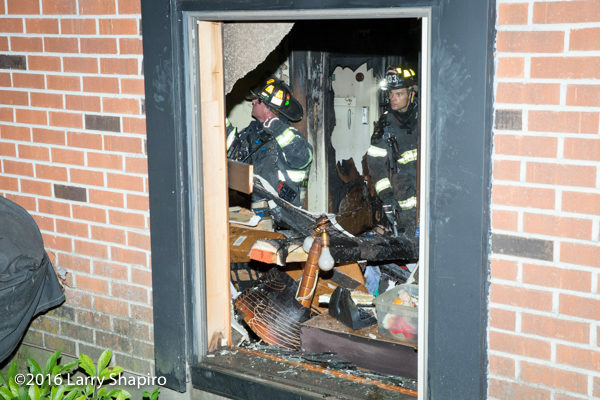 They encountered hoarder conditions and made their way downstairs where a ruptured water line that fed the washing machine was keeping the fire from expanding rapidly. 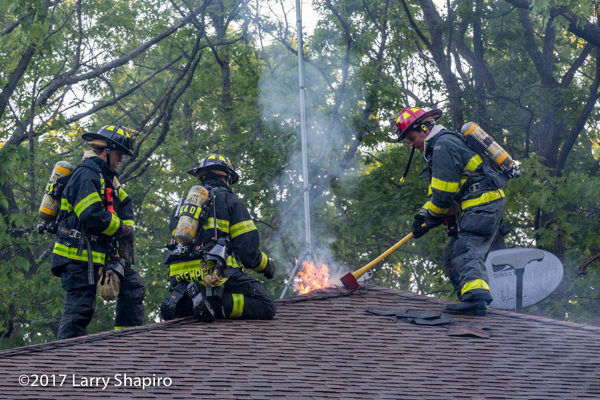 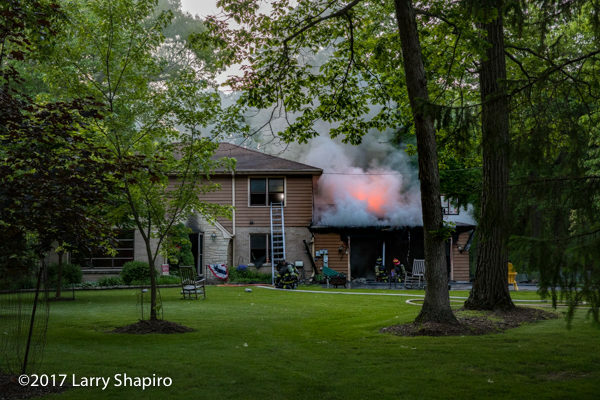 The alarm was upgraded to a Code 4 for the working fire which brought mutual aid companies from Buffalo Grove, Prospect Heights, Lake Zurich, and Wheeling, along with chief officers from Deerfield and Countryside. 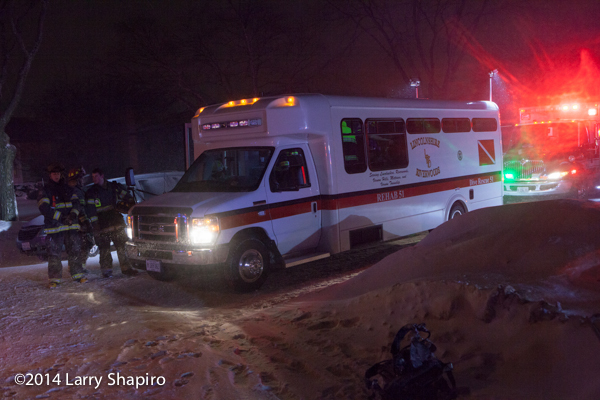 A Northbrook ambulance was later called to transport the homeowner to the hospital. 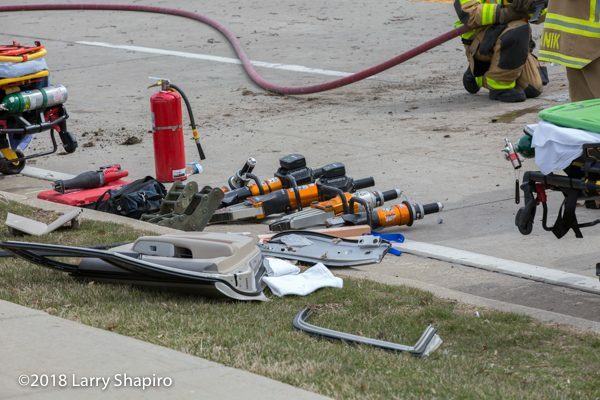 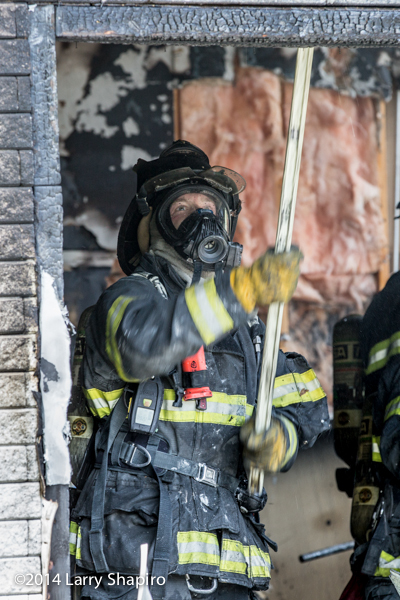 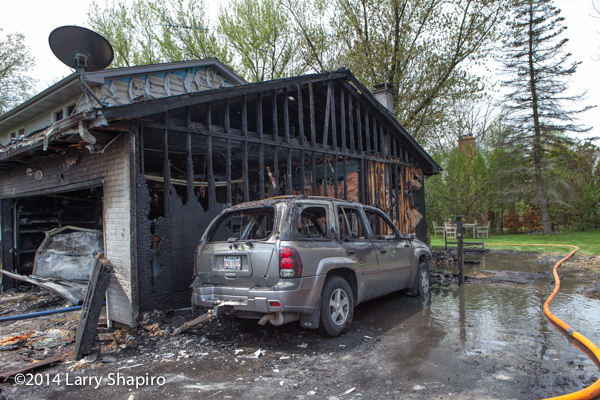 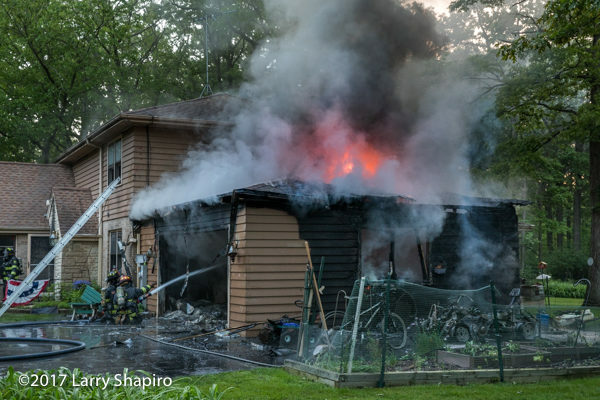 Shortly before 11AM Sunday, May 11th, a motorist reported a vehicle fire up against a garage at the corner of Riverwoods Road and Half Day Road (Route 22) in Lincolnshire, IL. 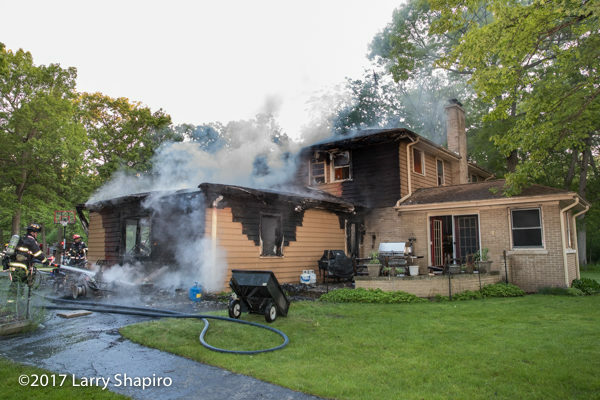 Companies reported a dark header as they got on the road and the alarm was upgraded to a Code 4 for the confirmed fire that had spread to the attached garage and was threatening the home. 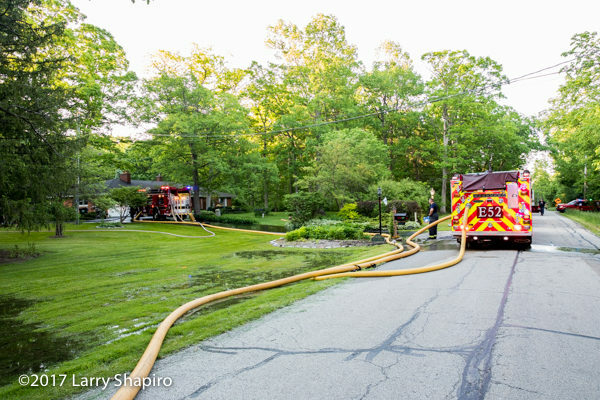 Deerfield-Bannockburn Engine 19 was first on the scene followed by Lincolnshire-Riverwoods Engines 51 and 52. 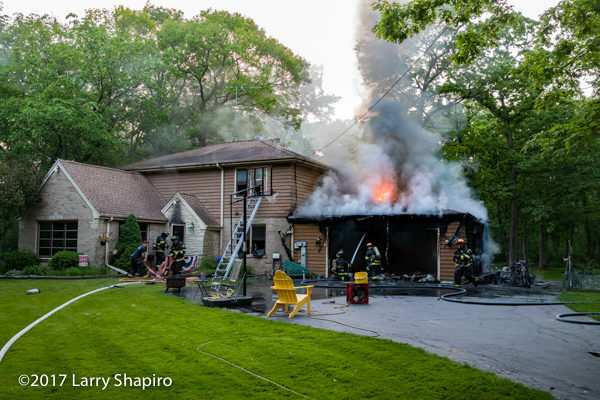 A quick attack with a 2 1/2″ line darkened much of the fire and additional lines were put to use effectively holding the fire to the garage. 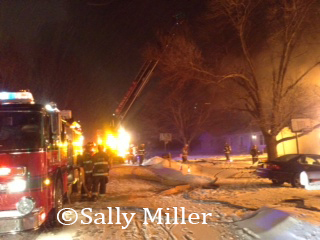 I arrived after the fire had been knocked down. 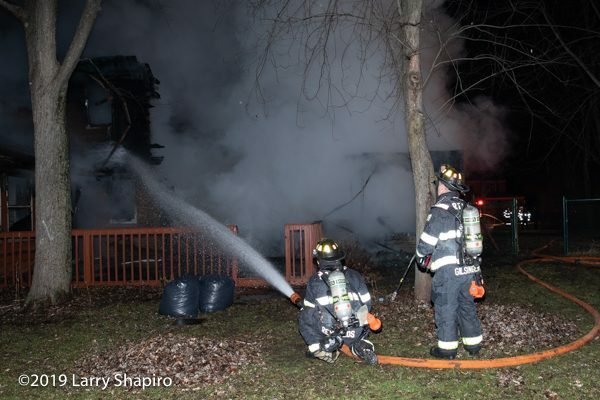 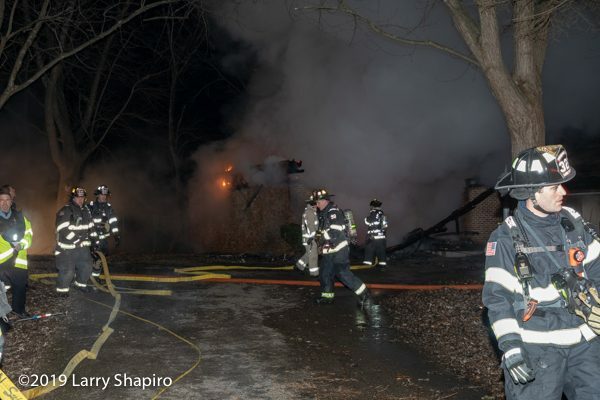 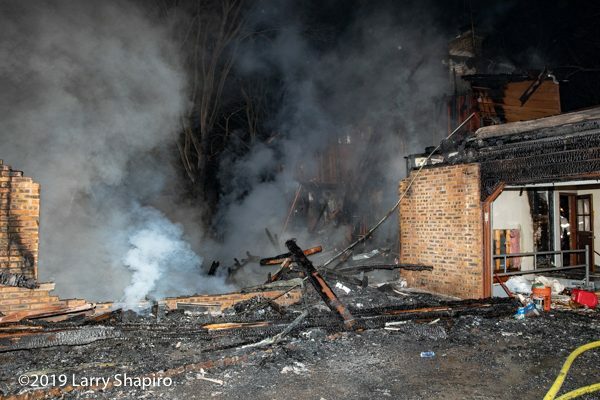 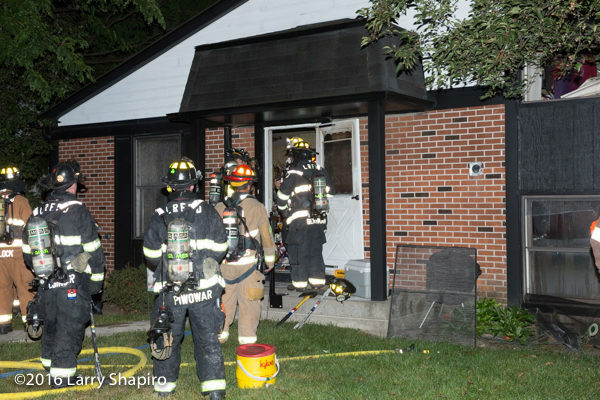 Lincolnshire-Riverwoods (IL) firefighters were called to the scene of a house fire last night at 20538 N. Clarice Avenue in unincorporated Lake County. 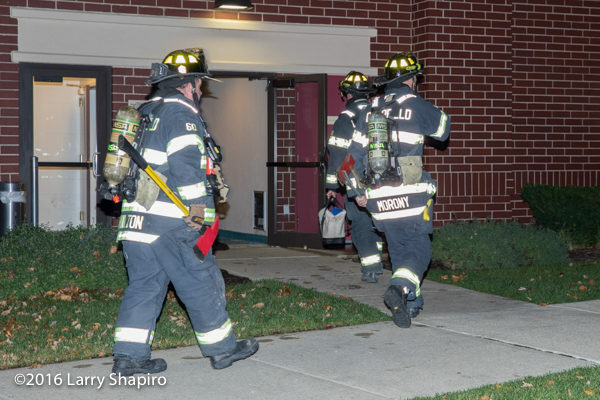 While responding, the alarm was upgraded to a Code 4 for the working fire. 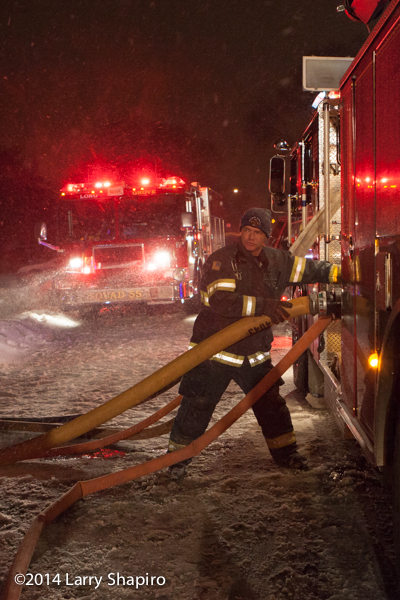 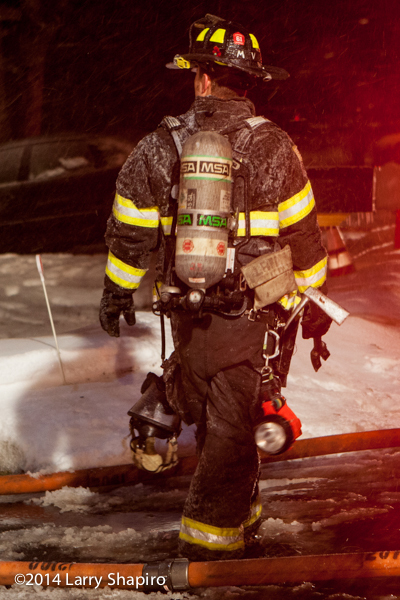 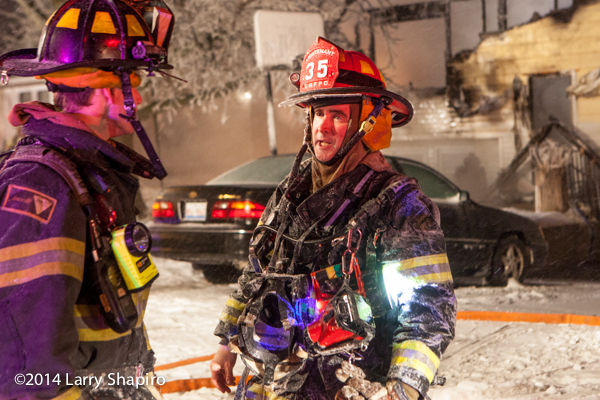 The temperature was at 12 degrees and a steady, wind driven snow was falling as the first units arrived to find fire throughout the two-story house with two residents waiting outside. 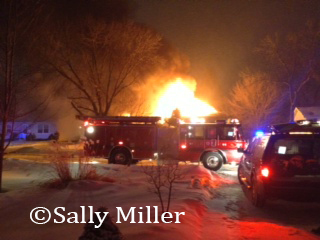 The husband was transported to an area hospital by Lincolnshire personnel, reportedly with smoke inhalation and burns. 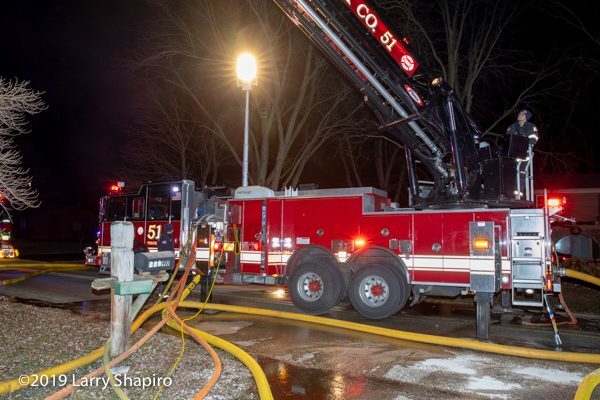 The closest hydrant was frozen, and the alarm was upgraded to a Box Alarm as companies laid lines to another hydrant and setup Lincolnshire Truck 53 for master stream operations. 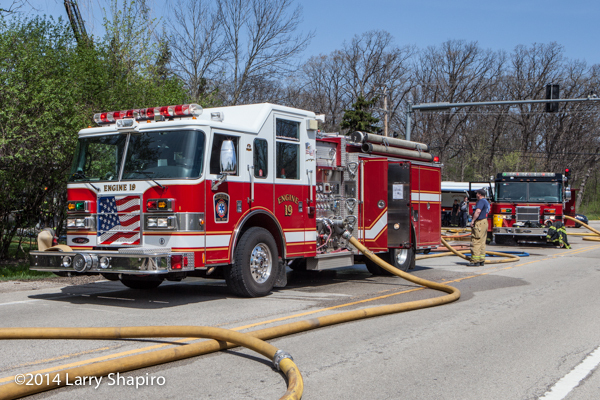 Both Lincolnshire engines were pumping as well as Truck 53. 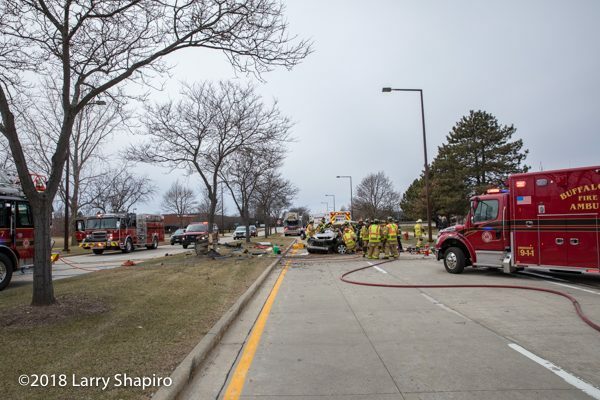 Mutual and auto-aid companies at the scene included Long Grove, Countryside, Buffalo Grove, Northbrook, Palatine, Northfield, and Grayslake. 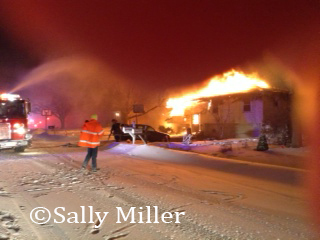 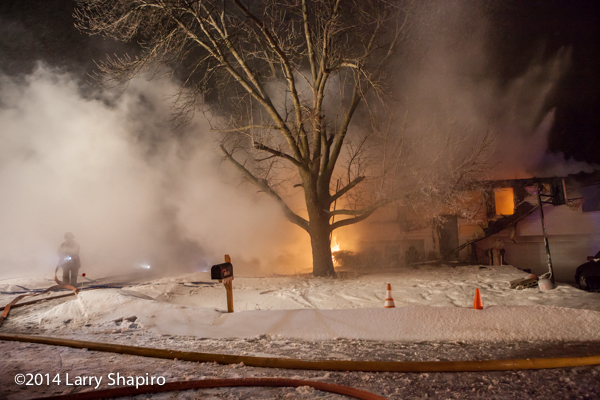 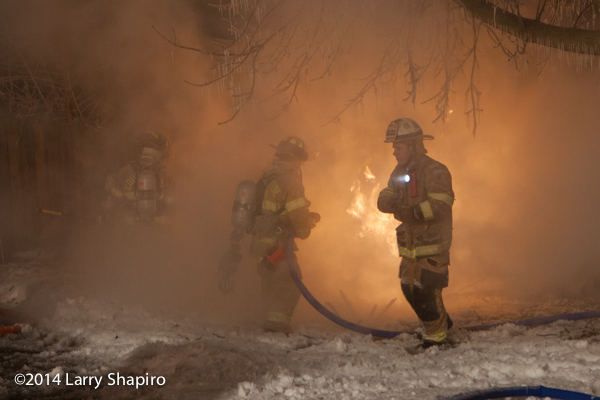 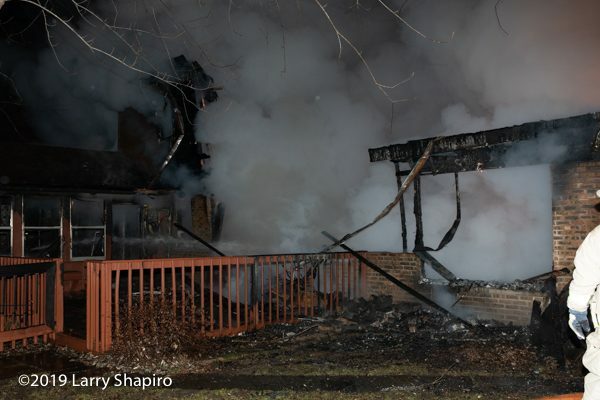 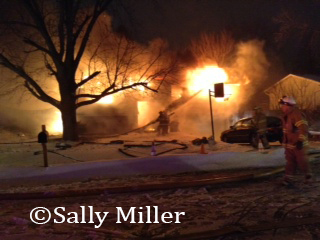 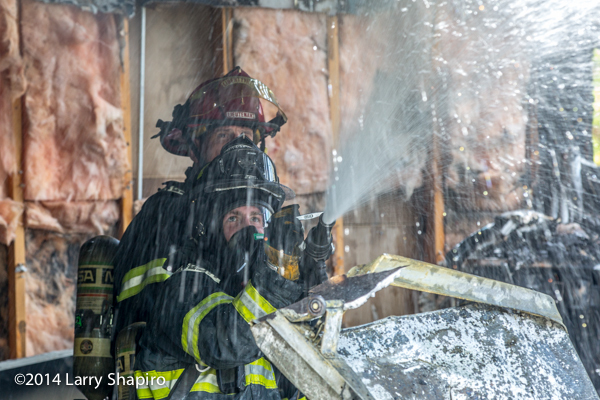 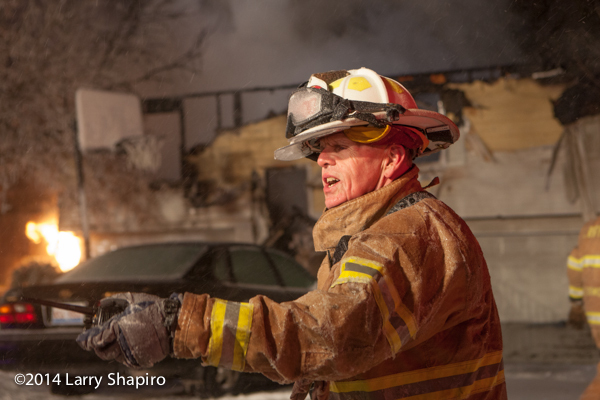 Images here are from Sally Miller, a neighbor, and Larry Shapiro who arrived after the roof collapsed. 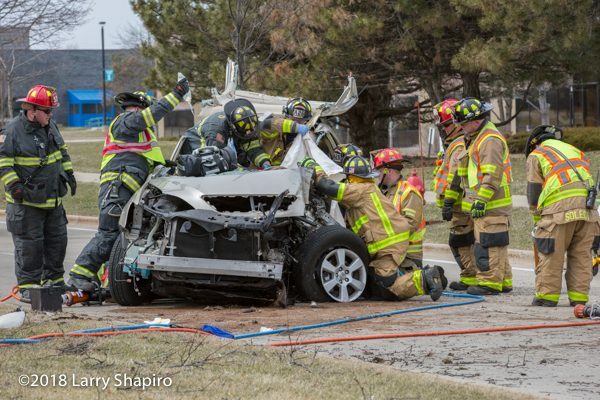 There is a short video at the bottom of this post.